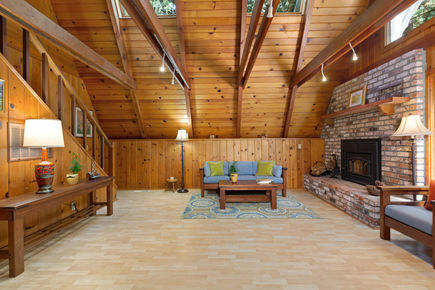 The first floor has an open space kitchen/dining room / living room with a stunning 25' ceiling, huge windows and a cozy fireplace with Yotul insert with electric fan (2011). 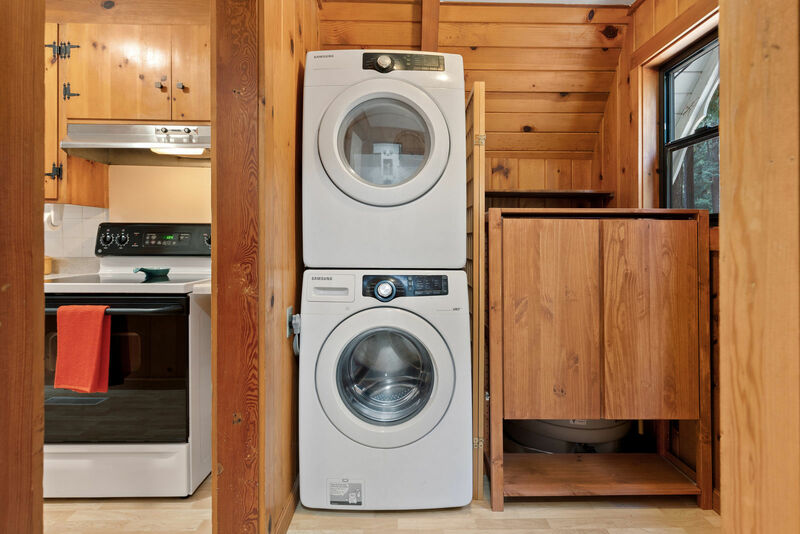 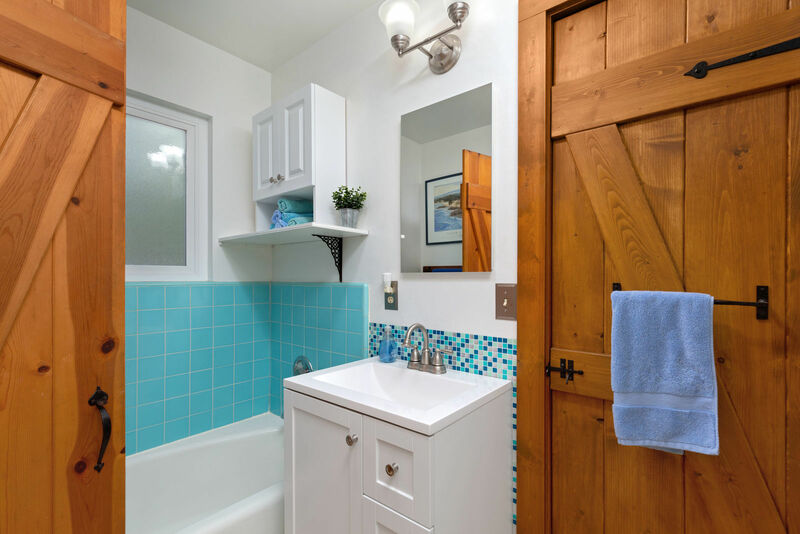 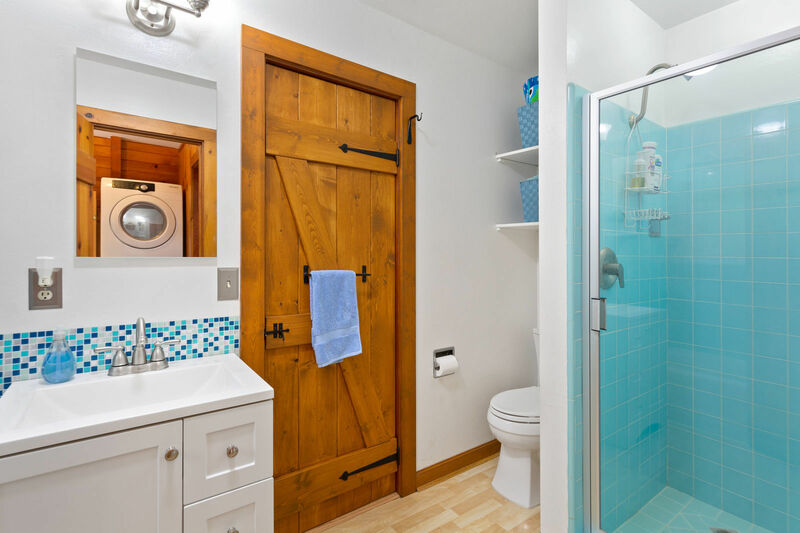 There is also a laundry room, bathroom with tub and separate shower, second bedroom (16x10) bedroom. 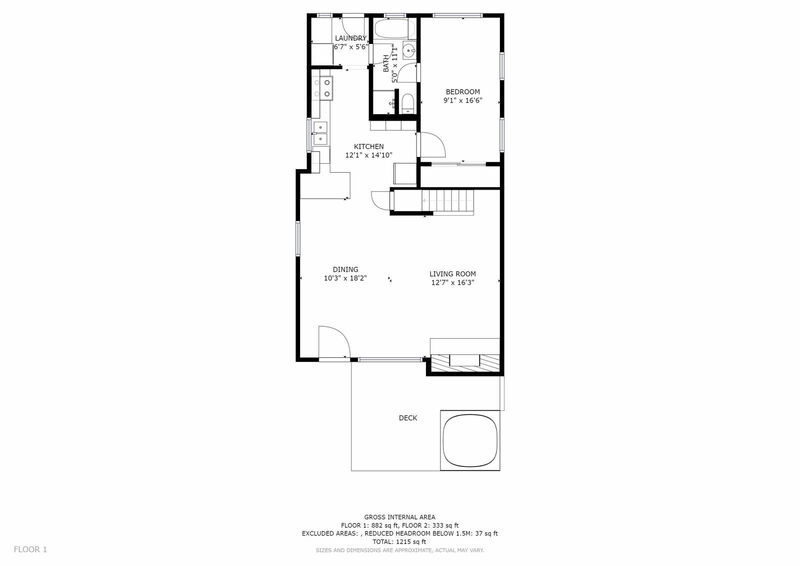 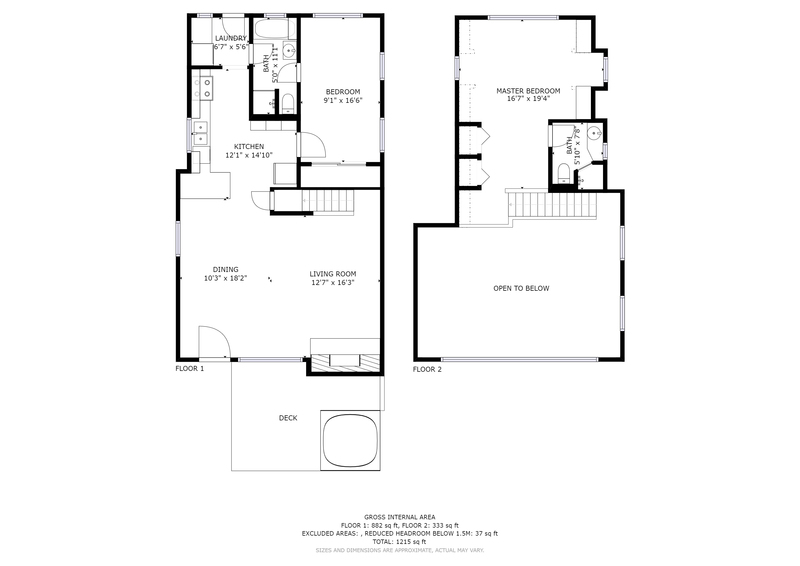 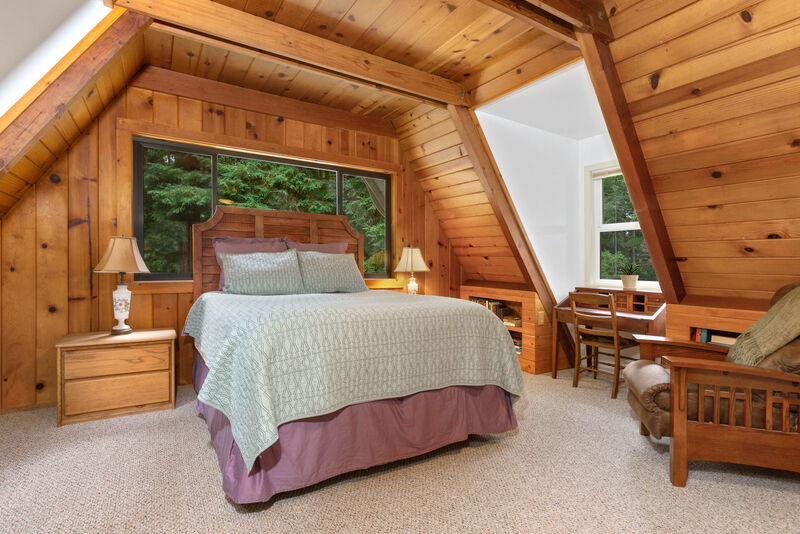 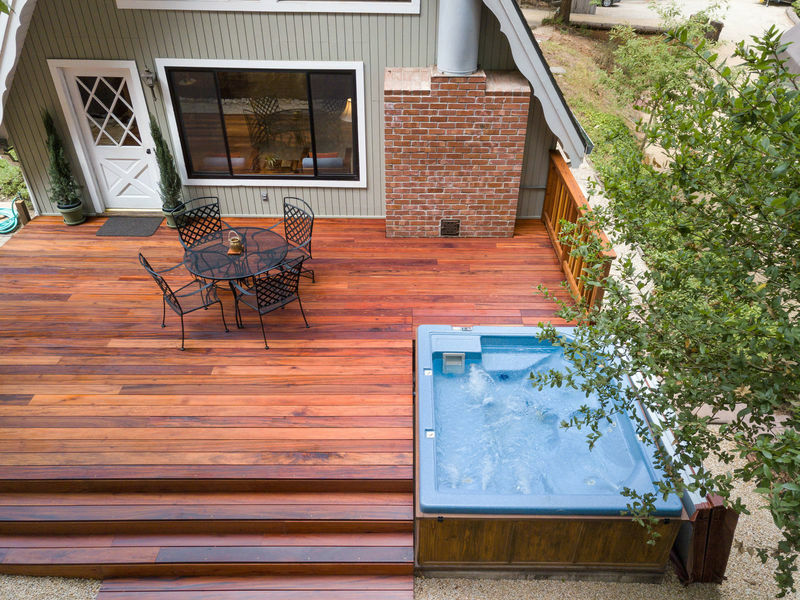 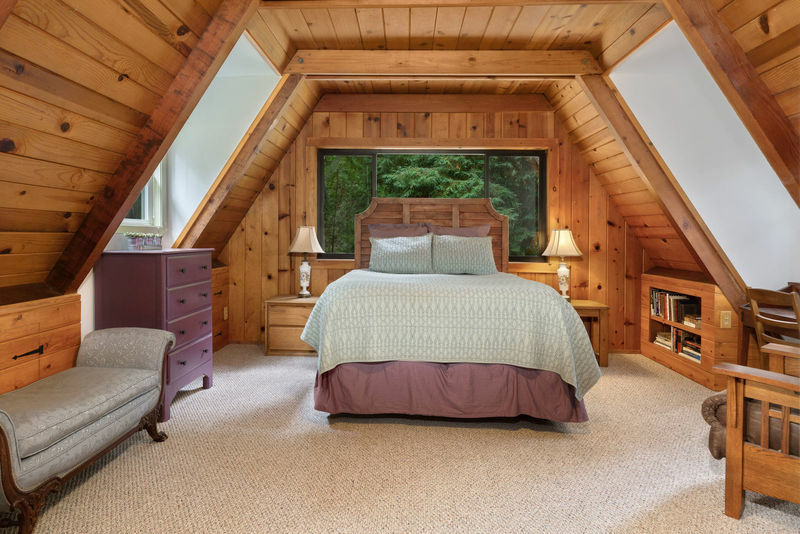 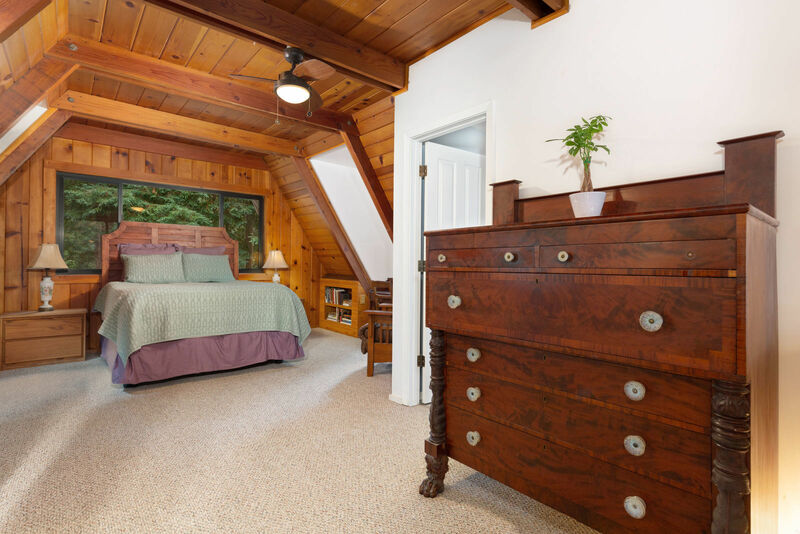 The entire second floor is the very large master bedroom with its own full bathroom. 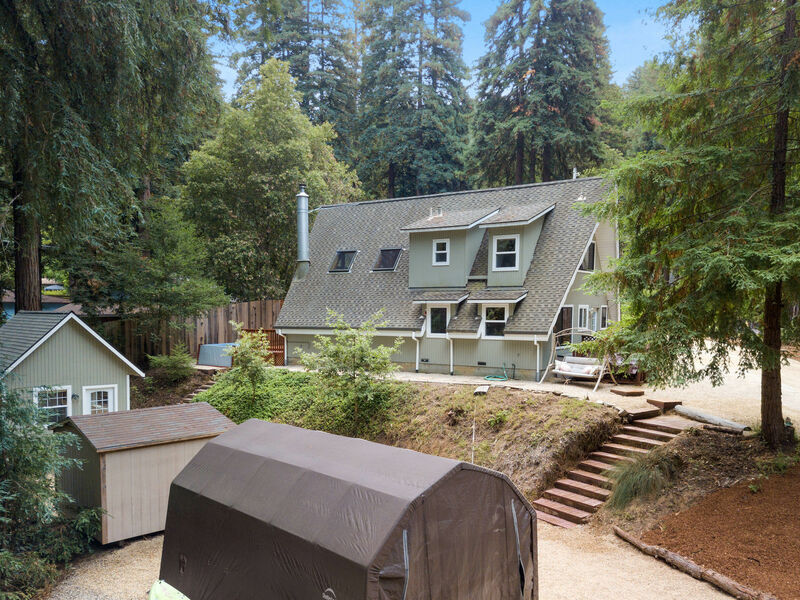 Parking/hookup for a 30' RV. 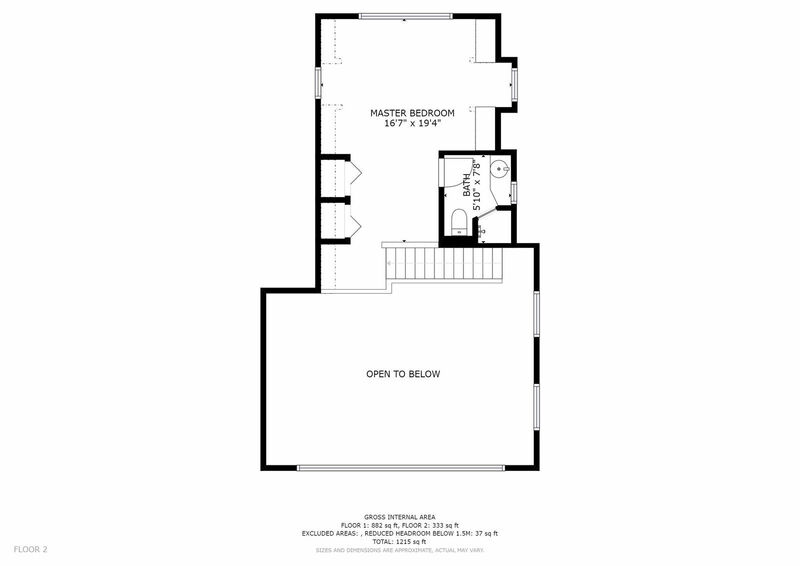 Note: Office adds nearly 300 sq' not included in house sq' estimate. 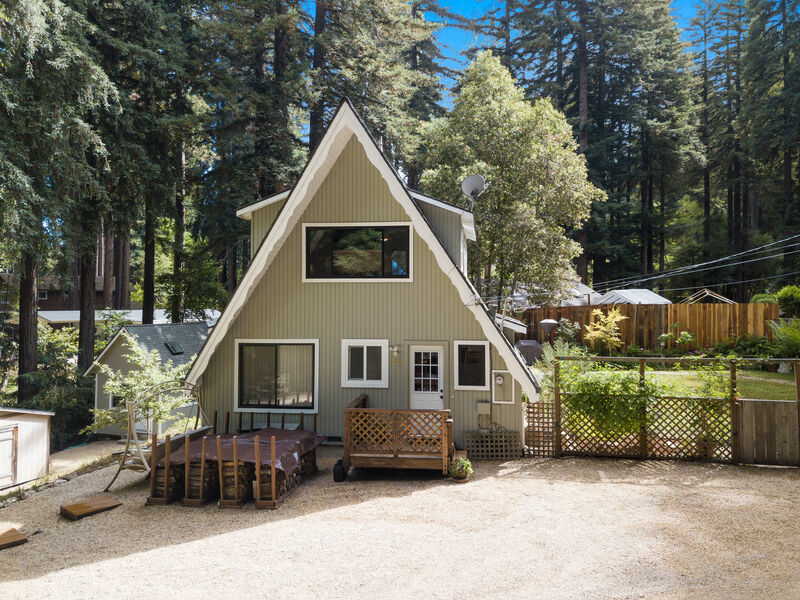 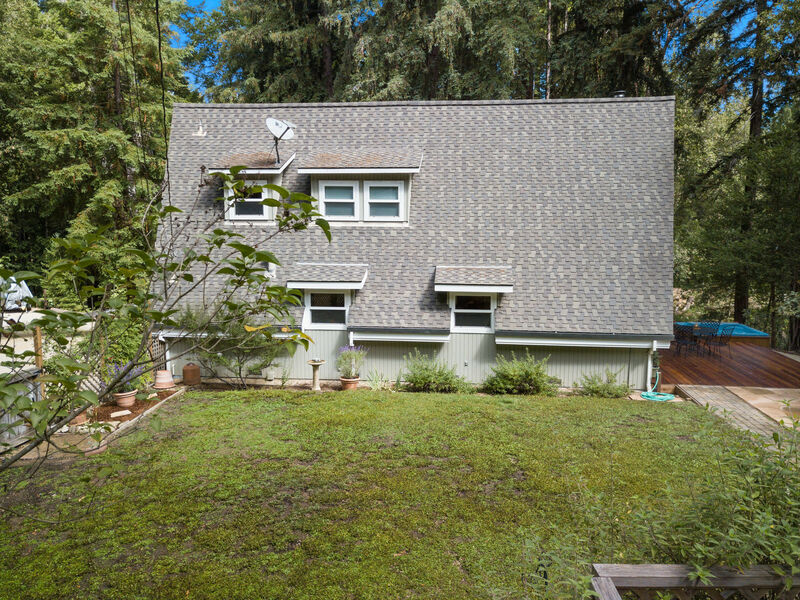 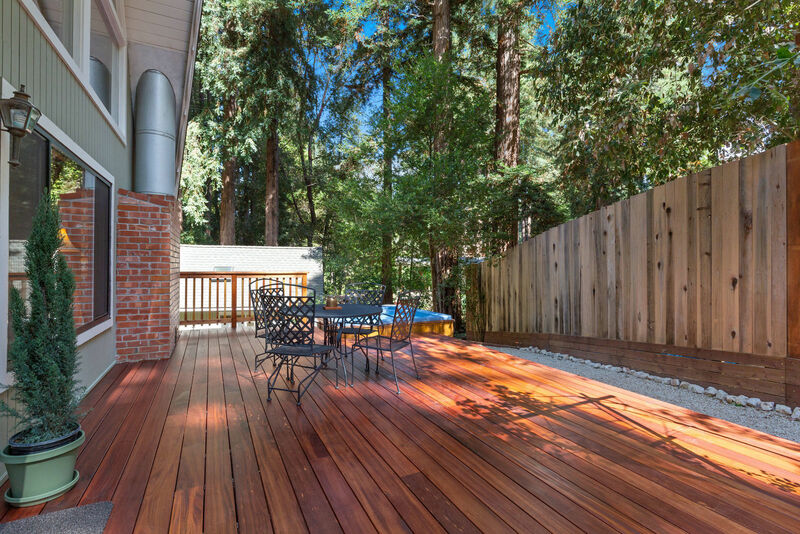 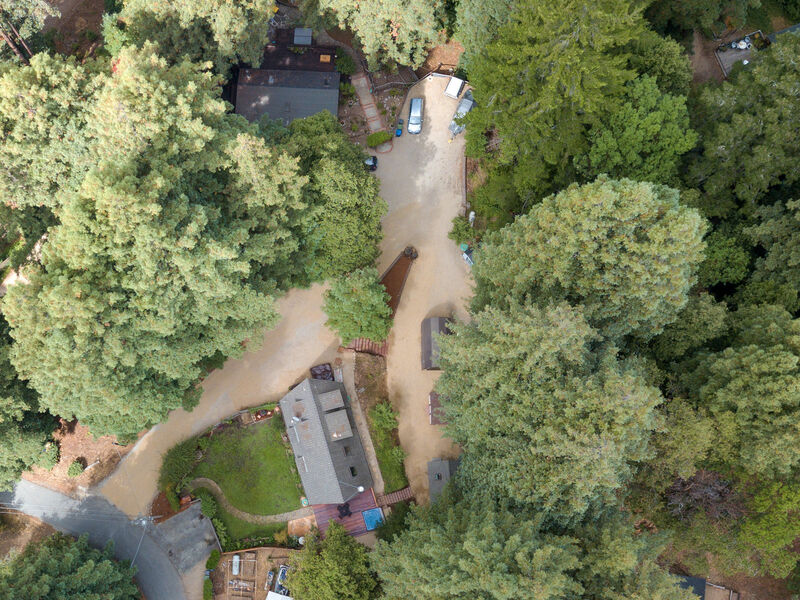 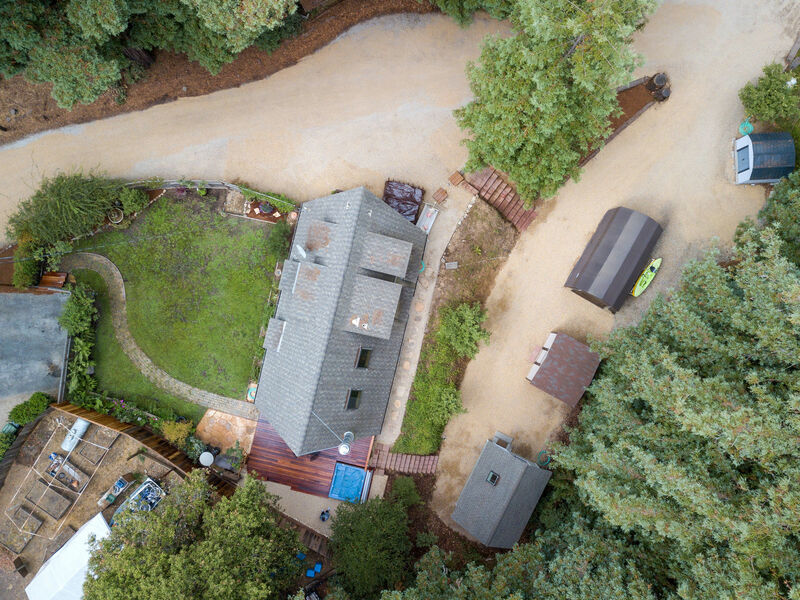 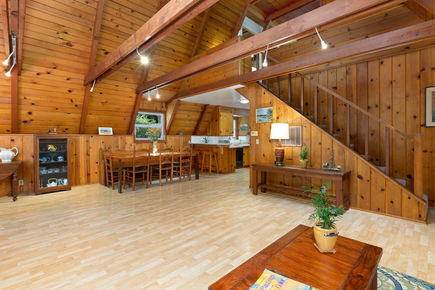 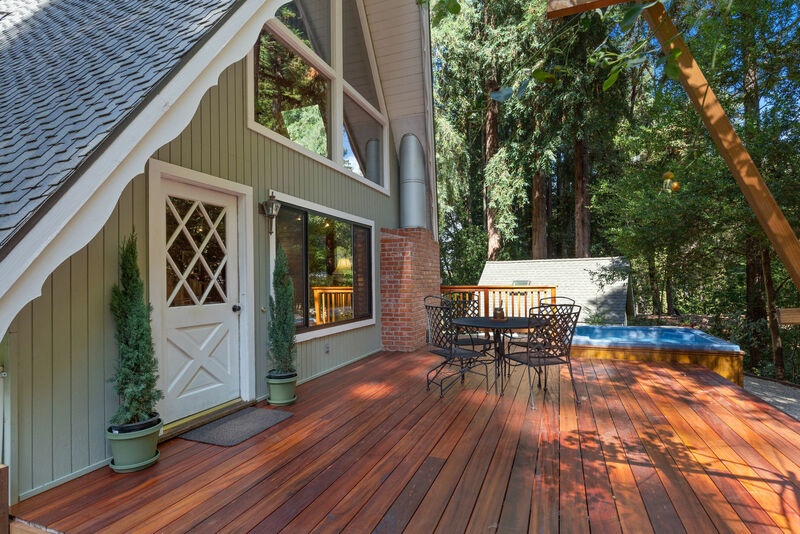 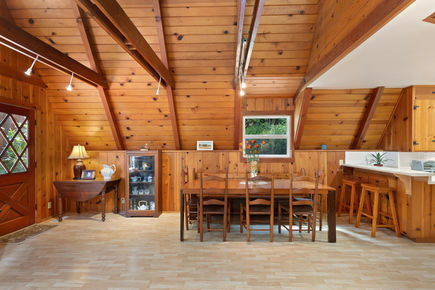 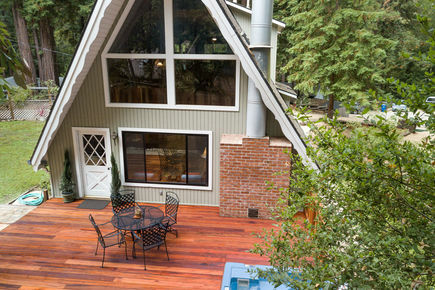 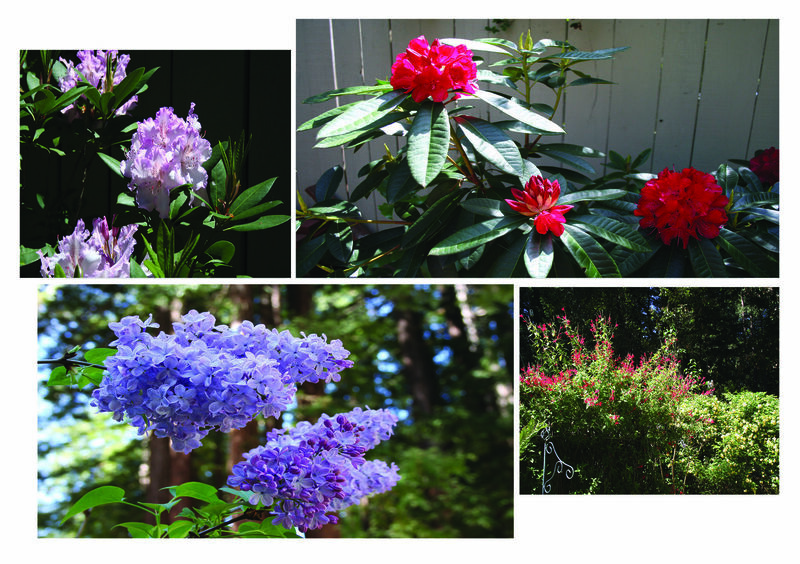 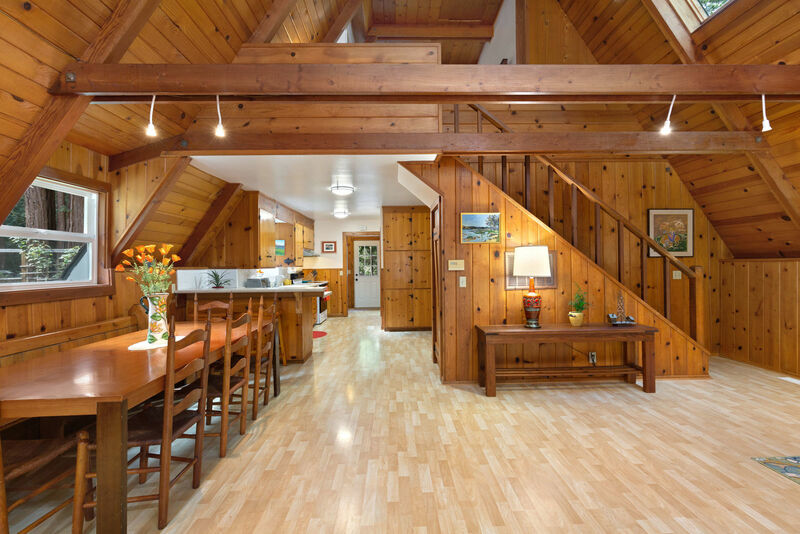 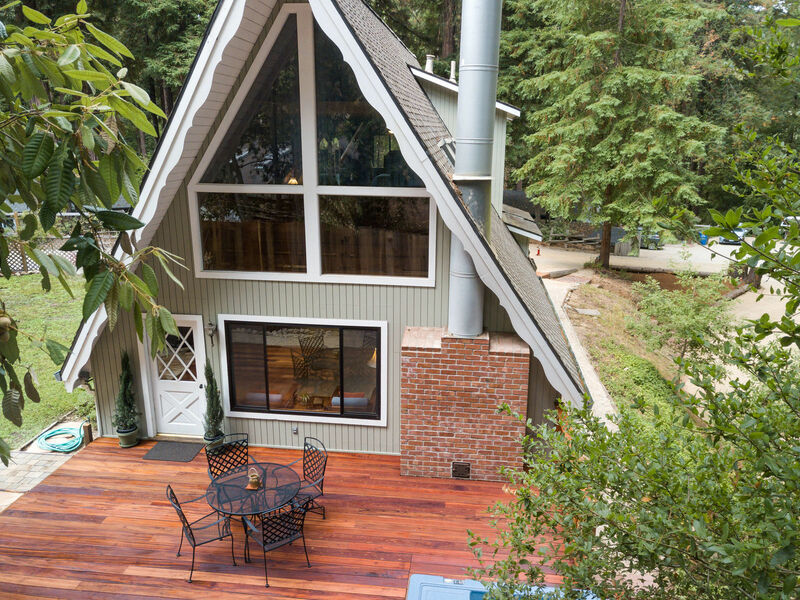 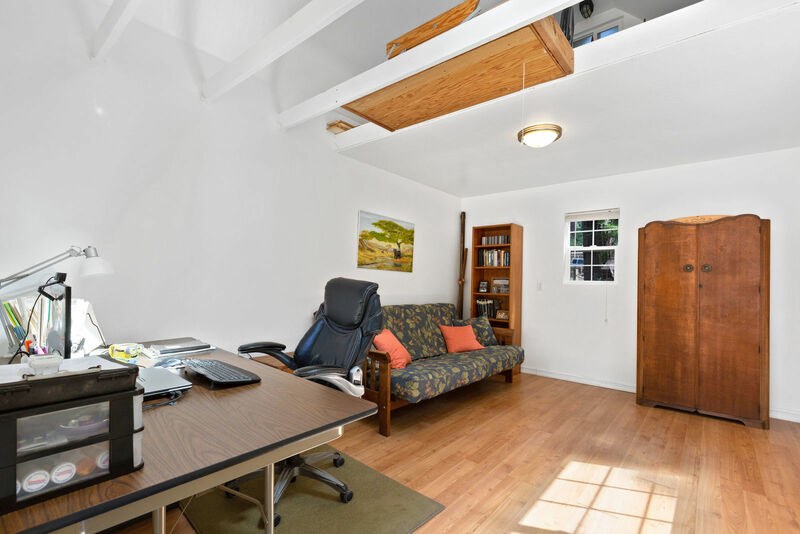 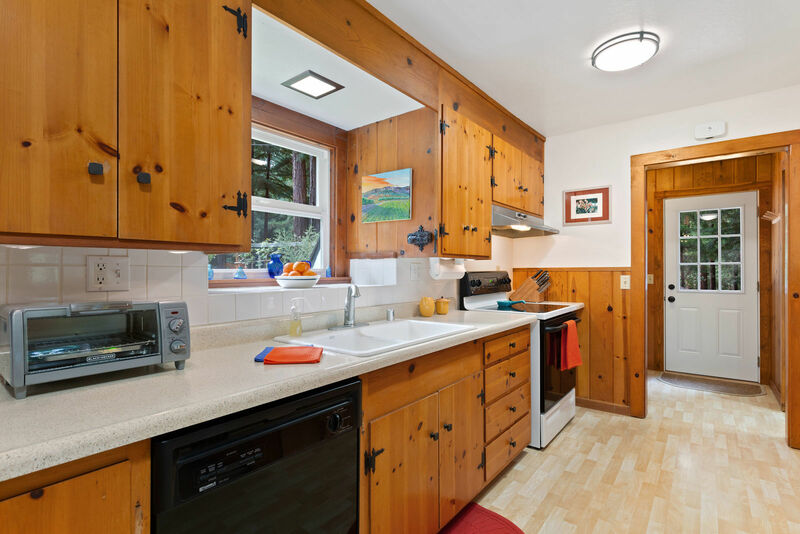 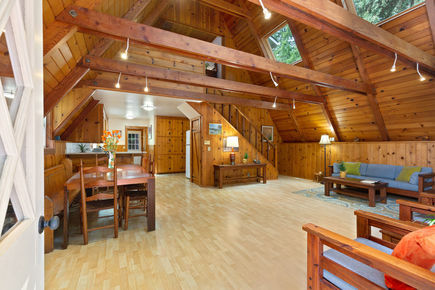 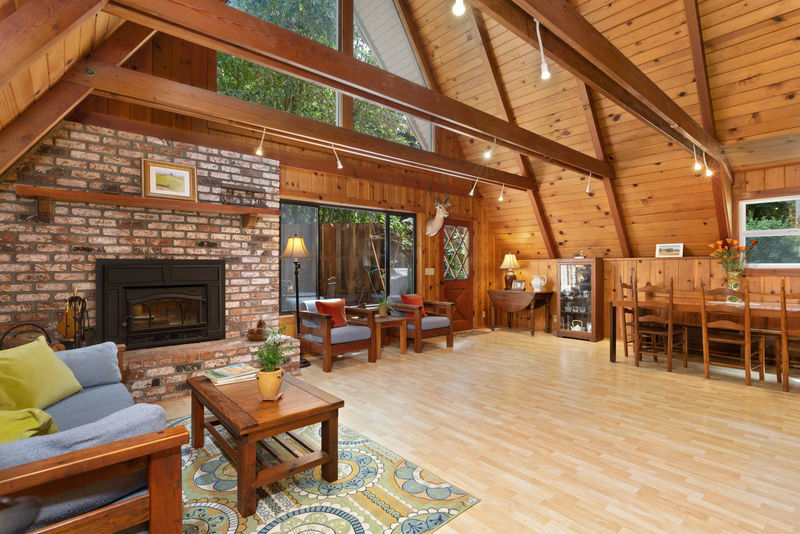 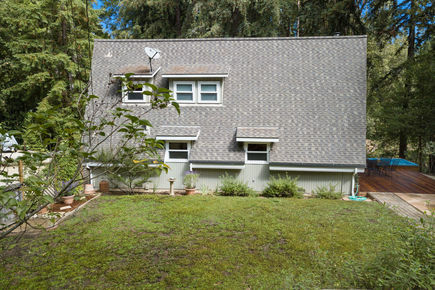 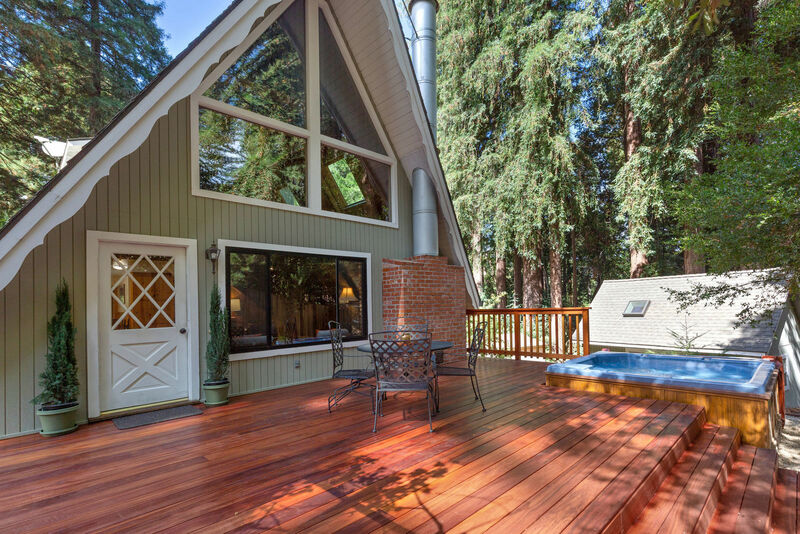 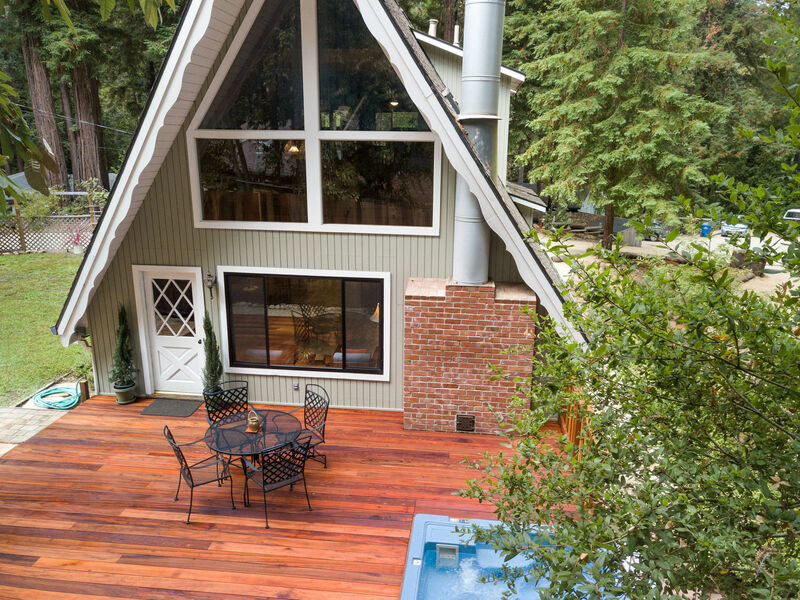 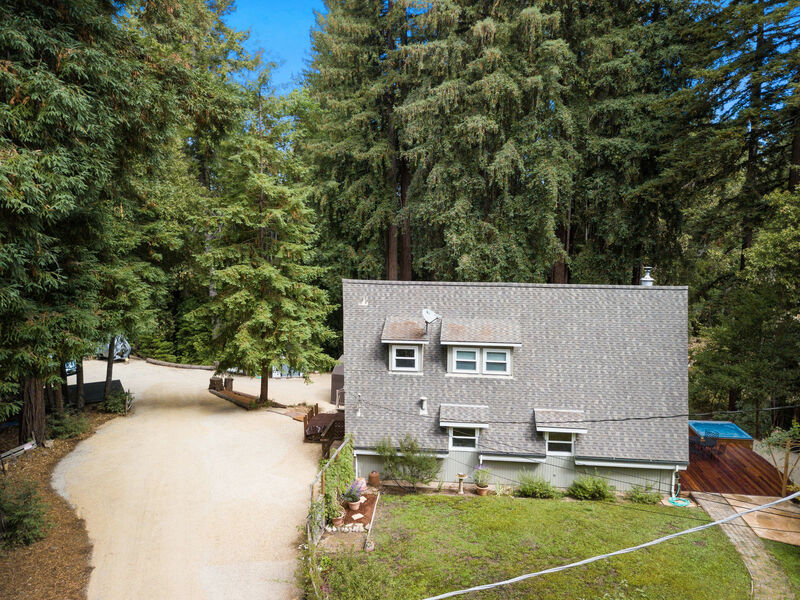 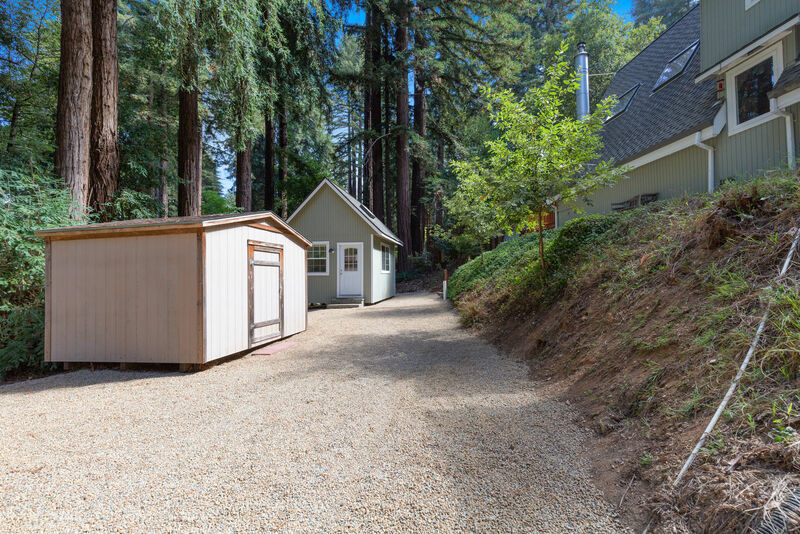 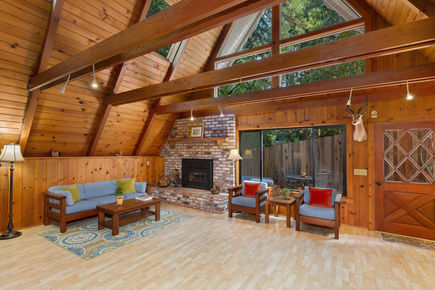 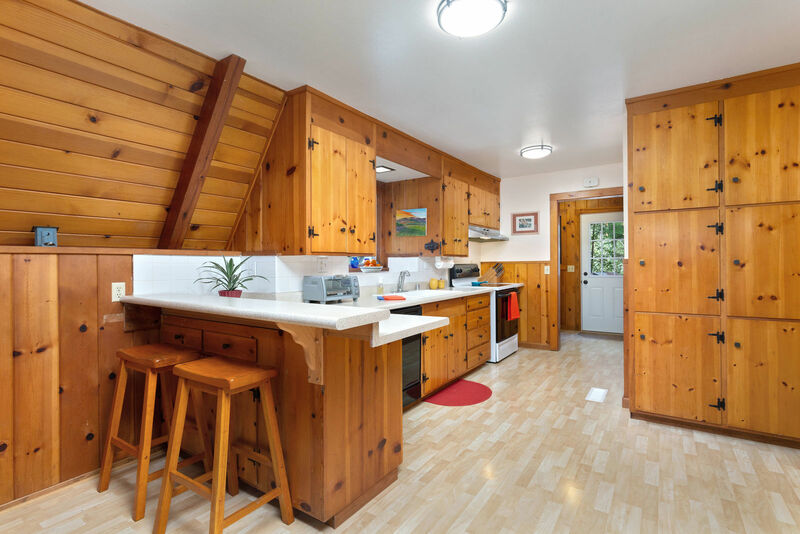 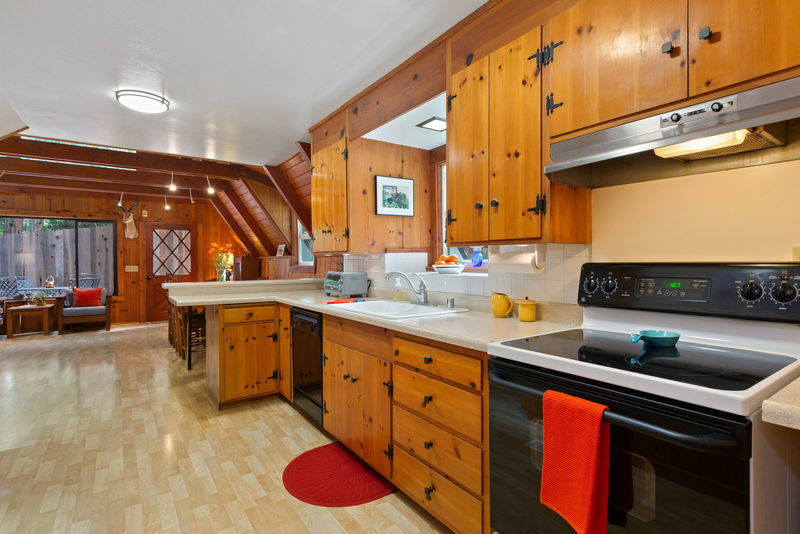 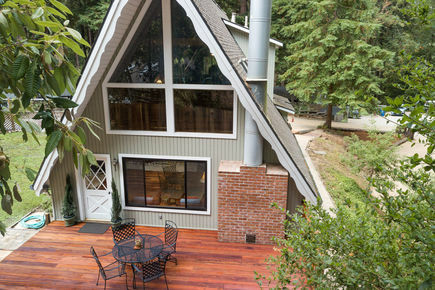 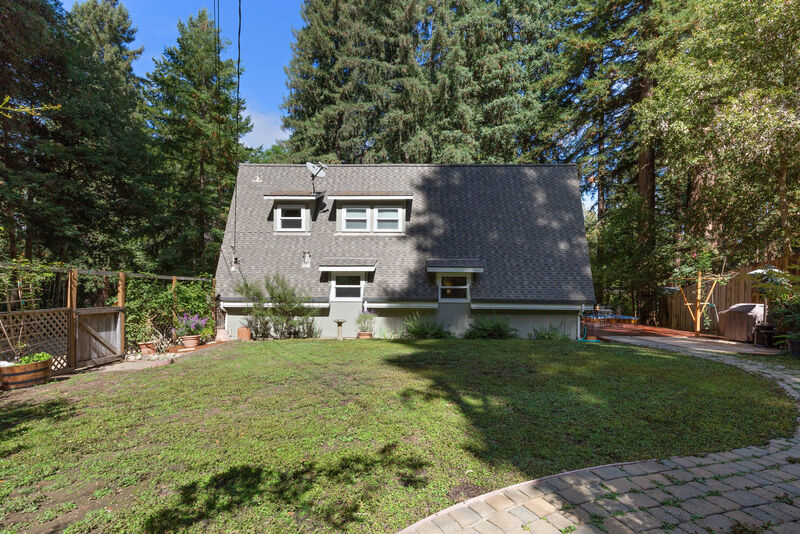 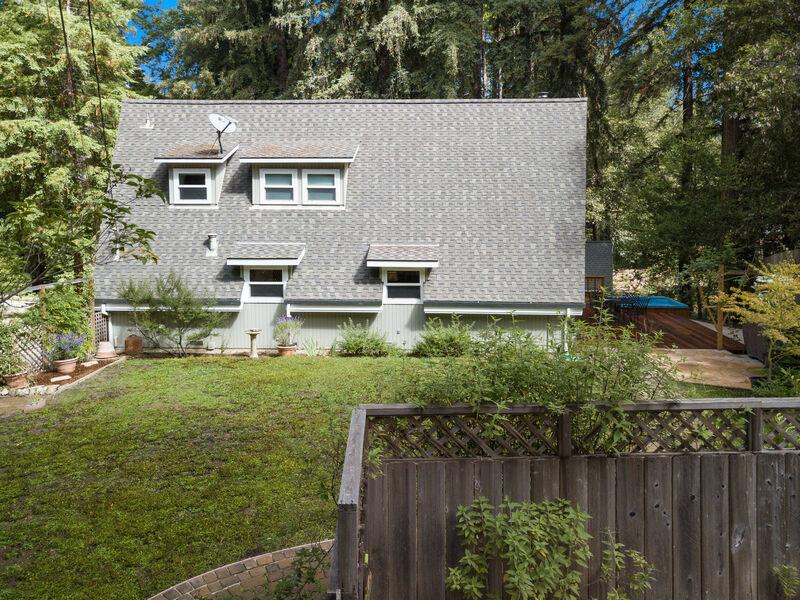 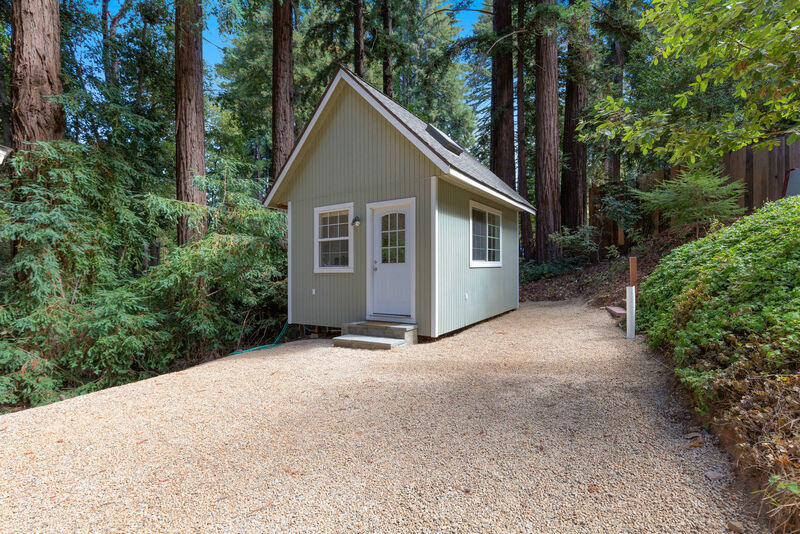 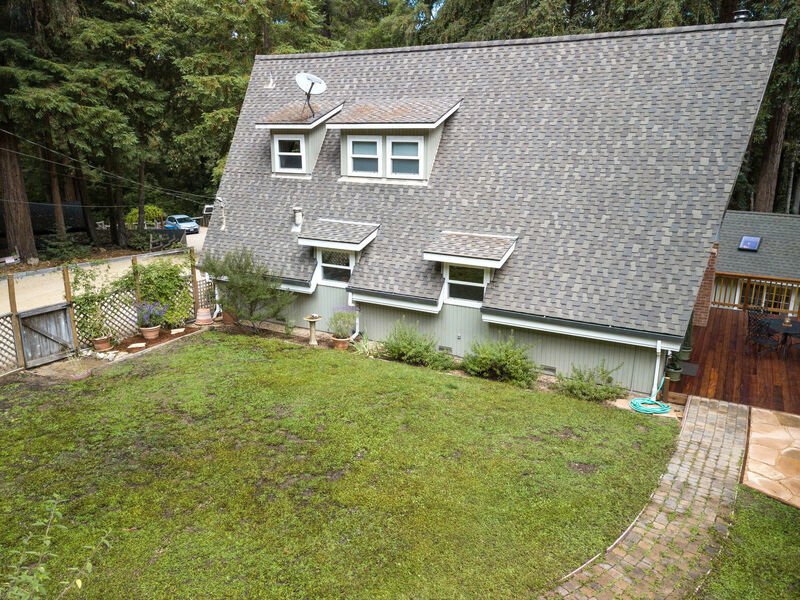 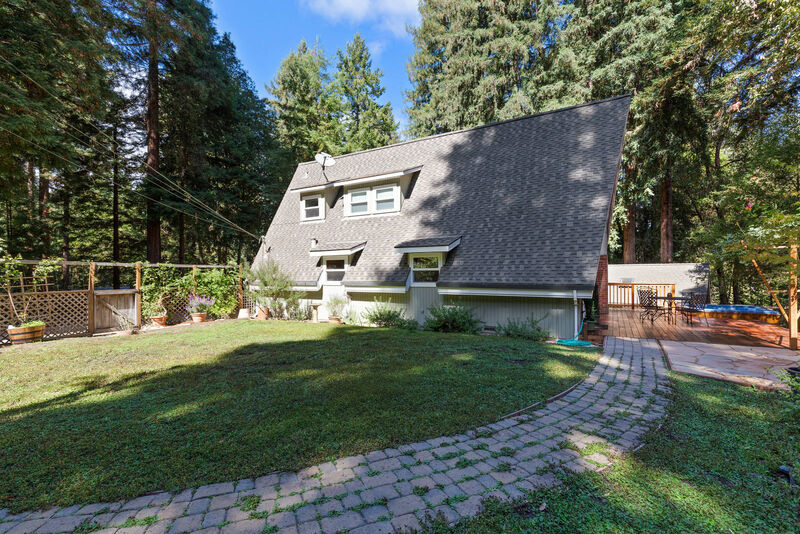 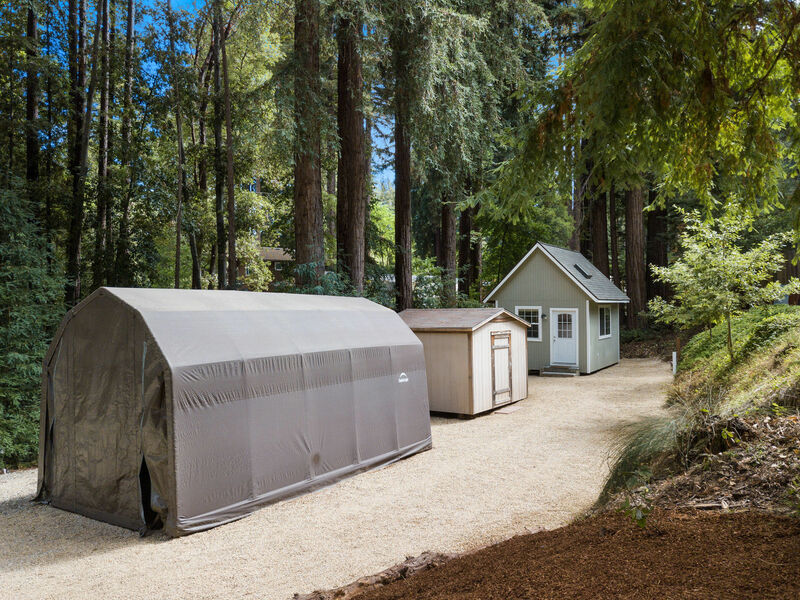 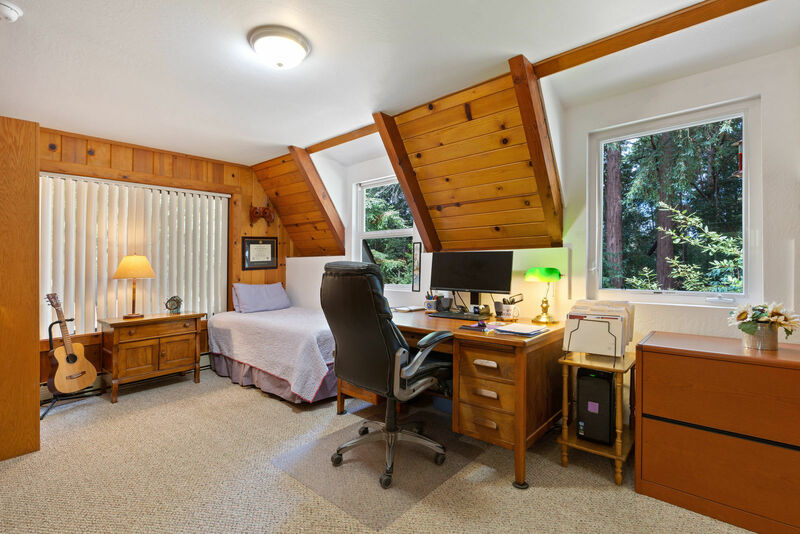 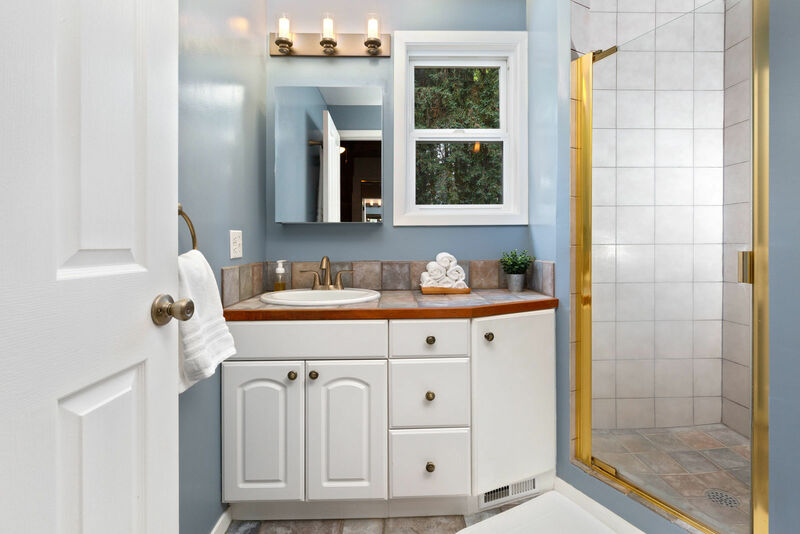 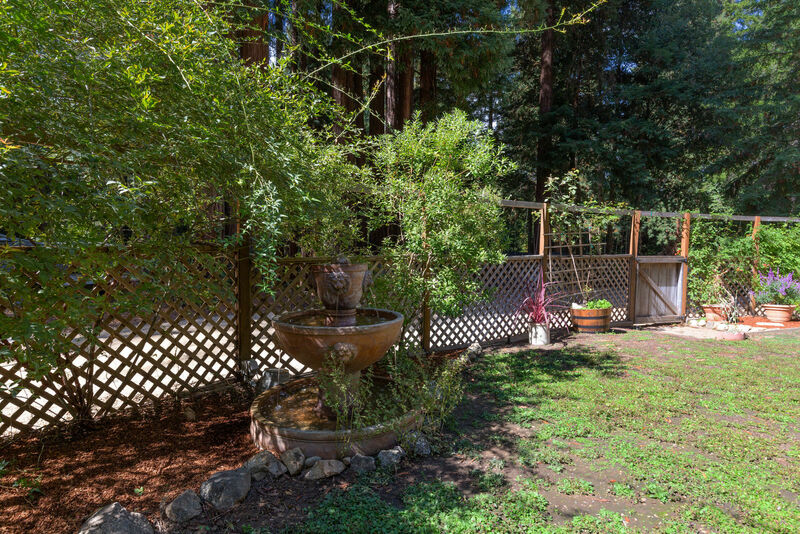 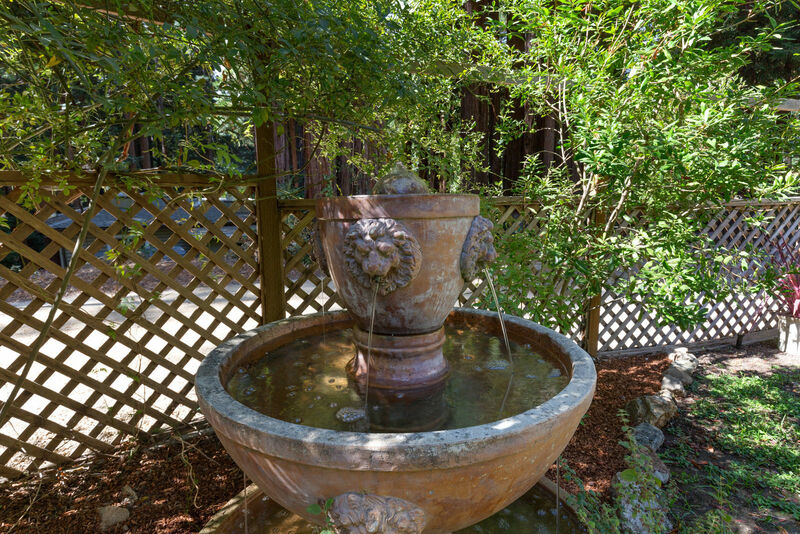 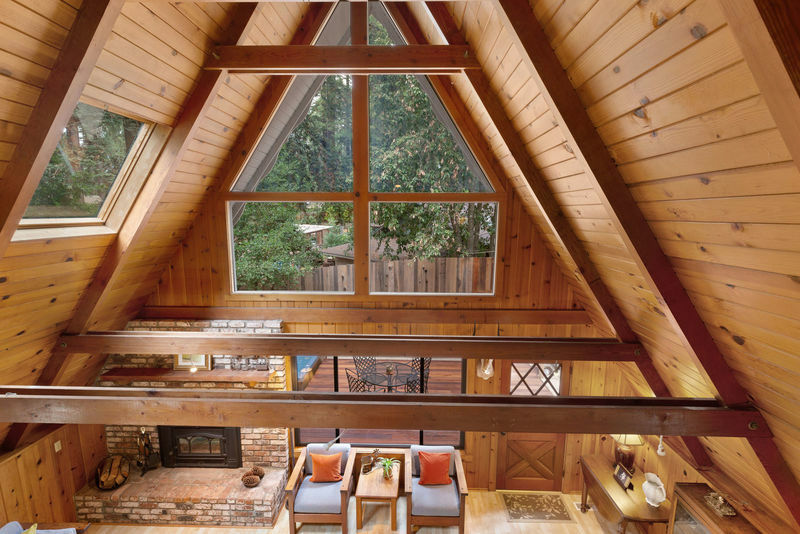 Great location, close to Henry Cowell State Park (best jogging / dog walking / horse back riding place!). 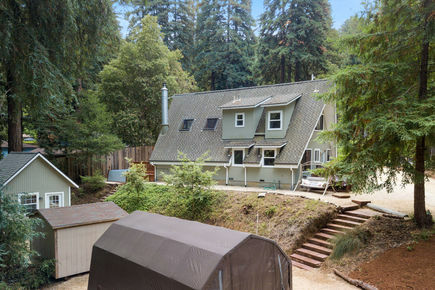 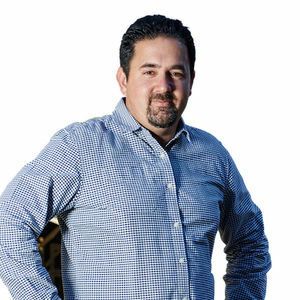 yet close to highway 17 if you commute to San Jose. 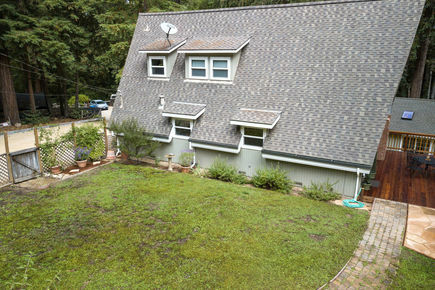 The neighbors are friendly and helpful. 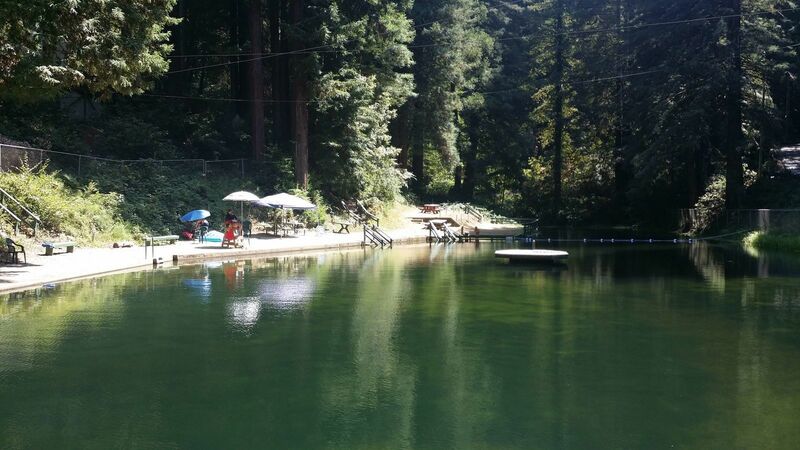 Forest Lakes (the community where the house is located) has a natural pool/lake in the summer and a play ground.